Dr. Ambeth R. Ocampo is an outstanding historian and an intellectual who has contributed to academic, cultural and social progress in the Philippines, through his positions as an academic and a newspaper columnist, and through his service in executive and advisory roles in historical and cultural administration. By providing a clear explanation of the global context within which Philippine history has developed, he has played an important role in promoting an open-minded nationalism and international exchange. 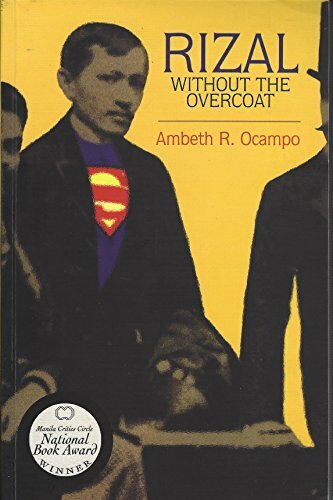 As an outstanding historian and intellectual, Dr. Ambeth R. Ocampo has made a great contribution to academic, cultural and social progress in the Philippines, through his university teaching, his writing for newspapers and magazines, and his service in historic and cultural administration. His clear and accessible explanations of the wider global context in which the country developed during the period of the Spanish and American colonial regimes have helped promote a more open sense of nationalism, and facilitated the advancement of international exchanges both with Asia and with the West. Dr. Ocampo was born in Manila in 1961. He studied at De La Salle University and received an M.A. in Philippine Studies. 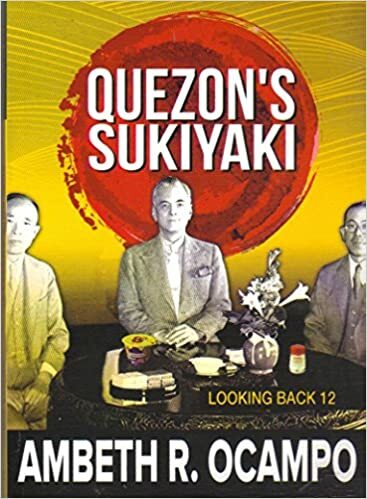 In 1985, he began to write regular columns and essays on history and culture in newspapers and magazines, which he compiled into two best-selling books, Looking Back (1990) and Rizal Without the Overcoat (1990). He then went to London to study at the School of Oriental and African Studies (SOAS), London University, before entering the Benedictine Abbey of Our Lady of Montserrat in Manila. After leaving the monastery, he went back to lecturing, teaching and writing, and to date he has published more than 20 books. His publications may be divided into two categories. One concerns political leaders such as José Rizal, who was a central figure in the Filipino Propaganda Movement which aimed at political reforms under the Spanish colonial regime in the late 19th century, and also Apolinario Mabini, Antonio Luna and Emilio Aginaldo, who played active roles in the radicalization of the reform movement into a revolutionary campaign for independence in 1896. The other category covers a wide range of themes in modern history. In all his works, he provides his readers with a clear insight into the actual thoughts and actions of the heroes and notables of history. By describing these luminaries as real people, with real feelings and emotions, and by effectively including into his writing the details of their lives, the atmosphere of the time and even a distinctive cultural fragrance, he presents history as a compelling narrative. This enables many people of all ages to feel history as something closer to them, and encourages them to maintain an interest in their country’s past. Indeed, Dr. Ocampo has made history common property among the citizens through his publications and his prominent media presence. He has also promoted an enhanced public awareness and global sensibility by showing the extent to which the activists and leaders, who shaped the history of the Philippines, worked in close contact and partnership with the West and neighbouring Asian countries. He served as Chairman of the National Historical Institute (2002-10), Chairman of the National Historical Commission of the Philippines (2010-11) and Chairman of the Department of History, Ateneo de Manila University (2010-12). As Chairman of the National Commission for Culture and the Arts (2005-07), his contribution to cultural administration and education was particularly valuable, when he signed cultural agreements with North Korea, Pakistan and Vietnam, and also established cultural exchange programme with China, France and Mexico. For his achievement in reclaiming history as the property of ordinary citizens, for his contribution to promote an open-minded nationalism and global sensibility in the Philippines, and for his great service to international cultural exchange, Dr. Ambeth R. Ocampo is a truly worthy recipient of the Academic Prize of the Fukuoka Prize. Public lecture will be held at Event Hall B2F, ACROS Fukuoka by inviting Mr. Ambeth R. OCAMPO, a laureate of the Academic Prize. Admission is free. We hope you will join us there.